Need a car on your next trip or journey? Renting a car can provide you with ease and freedom when you travel, and in some parts of the world it’s the only option to get around. But renting a car can also add some difficulties or complications to your trip — like searching for the best deal or sorting out exactly which other options you need. Check out on some tips that can save money, understand your rental agreement and avoid complexity with your car rental. 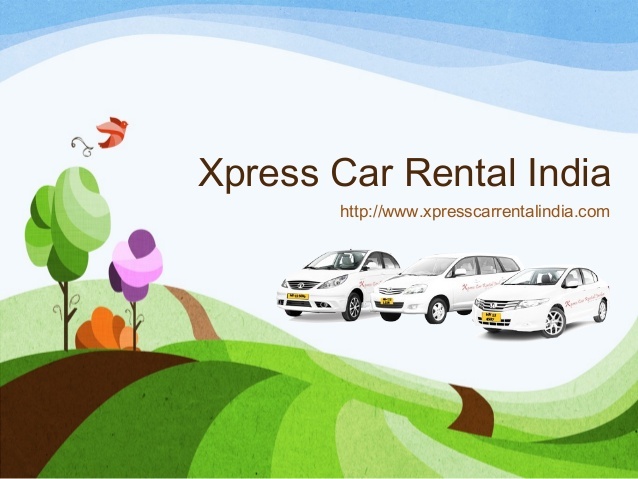 One of the most renowned car rental services in Pune is Xpress Car Rental India. Established in 1998, Xpress Car Rental India has gained eighteen years of experience and several satisfied clients from large organizations, mega hotels and also individual clients. Professional and uniformed drivers, who take you to the desired destination. A variety of vehicles, fully air conditioned vehicles, airport transfer service, reliable and on time service. Satisfaction guaranteed on rentals and value for money. Think twice about your need before hiring a vehicle. If you’re travelling with your family or with a lot of baggage, you may require a big sedan or SUV. If you’re simply penny-pinching on rental rates and fuel, you’ll need to book the smallest available model. But size or capacity of a vehicle isn’t the only factor. Are you searching for a friendly choice? Many cab service in pune now offer hybrid vehicles. Keep one thing in mind while booking a car, an automatic transmission should be offered to you. Also, check once that the company from which you’re hiring a vehicle offers any extras you might need, such as GPS system. While booking a vehicle you will find major car rental agencies all over Maharashtra. But rates may vary from place to place depending on where you’re travelling. Before making the reservation, just go through the reviews and ratings once to make sure that the company is up to the standards of the majors. Always shop around. Check the major car rental sites and aggregator engines (such as xpresscarrentalindia.com) to clear the idea of what different rates are available, but one should also visit the car rental agency’s websites as they often allow exclusive discounts on fare rates. If you are a loyal customer of a particular car rental agency then to lower your fare, ask for the discounts. They generally offer deals on car rentals. (Those offers could be on credit/debit cards.) If you’re working in a company which often look for rental cars, they may have a tie-up with such agencies. Don’t forget to check. If you’re booking a car for the first time, just take overview on the terms and conditions carefully before confirming your reservation. If you’re reserving over the phone, ask the agent about limits. Be careful about understanding the conditions of your booking. Is there a penalty for vehicles? How long will the car be held if you’re stuck in traffic on the way to the pickup station? Is there any penalty system listed in the contract if the vehicle breaks down in between the journey? Get all the answers to the above questions to avail all the advantages related to the car rentals. The latest way to save on rental cars is to hook up with a car share service. If you live near a major city or you’re a frequent renter, you may save money by joining a car share.